The New Year is the time that many people decide to make a change. At this time of the year, many San Francisco residents decide that it is time to make a permanent change in one or more aspects of their lives. It could be that they want to lose weight – a favorite New Year’s resolution – so they join a gym. Sadly, gym owners know that almost all the people who decide to do that will not last as members until March! Other people may decide to watch less TV and read more books. There can be many others: paint the fence, decorate the spare bedroom, go vegan, drink less wine, drink more wine(! ), learn a new language – it goes on. One “permanent” change that you can make is to get permanent dental implants. If you have missing teeth, why put up with those gaps any longer? Maybe you thought the dentist would recommend dentures, and the thought of having something in your mouth that could slip and slide about, even though it might make you LOOK as though you have great teeth, doesn’t really appeal. Not only that, you have to take them out and soak them all night. Not really a pleasant thought. Or you might only have one tooth missing and consider a bridge. But that involves cutting down two perfectly good teeth, one on either side of the gap, to support the replacement tooth. 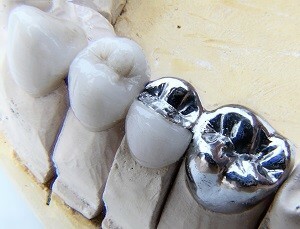 That is not such a good idea either, especially when there is a perfect alternative: permanent dental implants. This is what our doctors at San Francisco Dental Implant Center can provide for you. Permanent dental implants are just that – permanent. Where you have a missing tooth or teeth, a titanium implant can be inserted into your jawbone. That is the same material that they use to build airplanes, which gives you some idea how strong it is. The implant bonds with your jawbone over a period of a few weeks up to six months and then a crown is fixed on top of it. Now you have a tooth or teeth which act in exactly the same way that your original natural teeth did. You really won’t notice any difference. Except, of course, that now you will be able to laugh and smile again without being embarrassed in front of friends by the gaps in your teeth, and you will be able to eat anything that you wish – including foods that you may not have been able to eat for years. Walnuts? No problem. When did you last eat walnuts? At San Francisco Dental Implant Center our doctors offer all patients a completely free consult. Book yours now by clicking on the Contact Us link at the top of the page.